The Salmonfly hatch is the biggest event of the year for many fly fishing anglers in Montana. There is no better time to target big and aggressive trout with dry flies than during the hatch. The sheer size of the bugs is enough to coax even the biggest and baddest of Montana brown trout to the surface, year after year. Ask any of our Bozeman, Montana fly fishing guides what their favorite hatch to fish is and you will find salmonflies at or near the top of every list. Salmonflies hatch across the state of Montana at predictable times every year corresponding to seasonal air and water temperatures. Nymphing with large stonefly nymphs before the hatch is always a productive method to catch trout, but the main event is the dryfly fishing that follows. A dedicated salmonfly angler could fish nothing but salmonfly dries with great success from late-May through early August with great success in and around Bozeman, MT. Big bugs make for big fish. But you’ve got to be at the right place at the right time to make it happen. The first we see of Salmonflies in Bozeman, Montana starts in late May. Head south to the Firehole River in Yellowstone National Park and you will be greeted by big bugs flying around the Firehole Canyon from the last week of May through the first week of June. This hatch is smaller and less famous than the hatch on many of our larger rivers, but great fun and the first taste of salmonfly fishing we get in the Bozeman area. By early June many of the smaller rivers at lower elevations start to warm to summer temperatures, and the salmonfly hatch is not far behind. The salmonfly hatch on Rock Creek is the first big-time hatch of the year and one of our Montana fly fishing guides’ favorite to fish. Expect the bugs to start hatching the first week in June and continue to hatch upstream through the 10th. Follow the flies and you will find the fish. Or follow the boats. Rock Creek is a popular salmonfly float trip option in early June when many of our local rivers are in runoff. We have many great memories of warm summer days on Rock Creek filled with Salmonflies flying high in the sky and big trout chasing after them. Die hard salmonfly chasers already know what’s up next in the Montana salmonfly Hatch lineup: the Big Hole River. Some anglers think that the salmonfly hatch on the Big Hole River is the best around. Expect the first bugs to show up by June 10th down below Melrose and continue to hatch upstream through the 20th of June. The Big Hole River is world-famous for its high-density of trophy sized brown trout, and simply put the salmonfly hatch is an angler’s best chance to catch one on a dry fly. The fishing access site in Melrose is named Salmonfly for a reason. The hatch on the Big Hole River is that good. The Salmonfly hatch goes into high-gear around Bozeman, Montana in late June. At this point Salmonfly anglers have had their fun across the state getting warmed up for the main event: the Madison River salmonfly hatch. This hatch is no secret and draws anglers from all over to the fabled waters of the Madison River in Ennis, MT. Expect big bugs, big fish, and big crowds from June 20th through the 4th of July. The hatch will start well below the town of Ennis and move upstream. Sometimes it is here and gone in a week and sometimes is lingers for well over 2 weeks. The last week of June is almost always a sure bet to hit the hatch. While salmonflies are the main attraction, anglers will also find great hatches of caddisflies, PMDs, green drakes, little yellow sallies, and golden stones while the big bugs are flying. Primetime dry fly fishing, but be sure to book your trip early, our Montana fly fishing guides are generally booked well in advanced for the big hatch. The salmonfly hatch our Bozeman, Montana fly fishing guides consider the granddaddy of them all: the Yellowstone River. 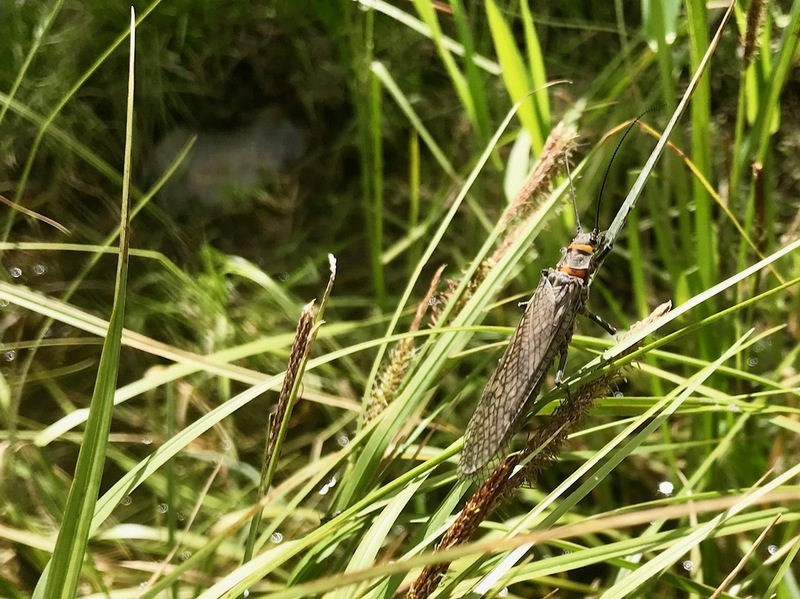 By far the longest hatch, anglers can expect to see the first of the salmonflies hatch in Livingston, MT by the 1st of July and continue to hatch upstream through Paradise Valley and Yellowstone National Park, all the way to the LeHardy Rapids, through early August. For the angler willing to float, wade, and hike, this can mean a full month of fishing the salmonfly hatch all on one river. The Yellowstone River’s sheer length is what makes this hatch so special. The Salmonfly hatch progresses upstream as water temps slowly increase. Anglers can expect to find the big bugs between Livingston, MT and Gardiner, MT from July 1st through July 10th. This stretch of the Yellowstone River runs through Montana and is open to float fishing. On all but the highest of water years this can be the most exciting dry fly fishing in the state. The trout on the Yellowstone River eat salmonflies better than just about anywhere else. And a trophy trout is just always one cast away. Need more information about Montana’s Salmonfly hatch or ready to book your Montana fly fishing trip?